Looking for Reclaimed Hardwood Flooring? Flooring.org has you covered! Head over to our Unfinished Solid Red Oak or White Oak flooring selections, and check out the Reclaimed Oak flooring we are now offering in the 4 Inch and 5 Inch plank categories. As with all of our flooring and stair parts products, our reclaimed floors are always priced at wholesale, as our goal is to make wood floors and staircase supplies more affordable for more people than ever before! To celebrate the new year, we've marked many of our most popular hardwood flooring items on sale. You will find sale items all over the site! Act quickly though! Many of these wood floors will be returning back to regular prices on January 3rd, 10th, or 17th... so don't pass up a good opportunity! We're always excited when we have the opportunity to offer new products to meet the growing demands of our customers! It's your demand that keeps us going, and it's your loyalty that enables us to grow! Our collection of Iron Balusters is growing daily as we are adding several models each week to our Iron Balusters selection. 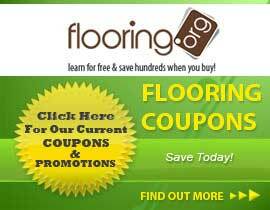 At Flooring.org our goal is to not only provide flooring and stair parts at the lowest prices on the web, but we also want to offer the easiest shopping and ordering process on the web! Use our simple store navigation menus to shop flooring online, and then use our easy, online shopping cart to process your order online, safe and secure! Try it now!